Before you leave home, you should examine your household insurance. Consider if you should supplement it with an extended travel insurance. Your regular insurance covers a variety of accidents, but should someone become ill at home, or if you are taken ill on holiday, only a few standard insurance policies will compensate your loss. Remember your passport. This is an internationally recognised proof of legitimacy, which you might need to show in many situations. Also remember your holiday voucher! Without it you won’t be allowed into your apartment or hotel. The statutory public tourist health insurance cover as per 1st January 2008 only covers the cost of health care in the EU. It will not however cover the costs of repatriation if for medical reasons you cannot return as scheduled. We therefore recommend that you take out travel insurance before departure to ensure that you are covered in case of an accident or illness whilst abroad. Find out first if your house contents insurance covers your luggage and / or repatriation in case of an illness or accident when abroad. Since the 1st January 2002, the Euro has been the standard unit of payment in many countries in Europe, including Italy. You can normally withdraw money between 08.00 and 24.00 from cash machines, which can be found in almost every town. However, it should not be taken for granted that our partners, restaurants or other places accept credit card payments. Always have at least 100 Euro on you in case you need fast help, medicine at night or a doctor’s visit. Please note that deposits in many places must be paid in cash! If you have chosen holiday accommodation in the countryside, you shouldn’t be surprised to find that the final stretch of road is unmade and is in a condition which might only seem accessible for 4-wheel drive vehicles and full track vehicles. For Italians these roads pose no problem and we encourage you to be like them in this respect. You just have to reduce your speed and be a bit more aware and bear with the dust on the car. If on the other hand you stay closer to the road, you should of course expect other people to drive on it and create dust. We recommend everyone to take a more detailed map of Italy or a GPS, as our maps and local driving directions and not as detailed as sometimes you may need. In many cities in Italy, especially in historic centres, there are traffic restrictions and no entry zones for motorized vehicles. This helps to protect the environment and create a safer area for pedestrians. The initiative means that only residents or officials with special permits may enter the zone by car. The sign is a white square with 'Zona Traffico Limitato - ZTL' and a red square. The ban starts at the beginning for zone and there are signs placed before the start of the zone informing you of the distances and times. Avoid driving into an environmental zone as you may run the risk of your license plate being photographed and will in turn receive a fine. When you park, pay close attention as to whether there is a market the same day or the next day. Many spaces are reserved for markets and you risk getting your car towed away, which is often complex and costly to retrieve. In most cities you will have to pay to park, and you can buy the tickets from the vending machines or from Tabacchi shops (vendors of cigarettes, newspaper, stamps etc). Blue parking bays signal that there is fee, white parking bays signal that you can park there for free while it is forbidden to park in the yellow parking bays. Always check if there are signs that indicate otherwise. We would recommend anyone who visits a large city to try to park outside the city and take public transportation into the centre. Besides that in some cities it is illegal to drive into the centre (read about environmental zones above). From the 1st April 2004, Italian law has made it obligatory to keep a Visability vest in the car. The Danish motoring association writes that the ”the Visibility vest is made from reflective material and should be used in cases of accident outside urban areas in Italy. If you leave your car to place the warning triangle, you should wear the visibility vest, which can be yellow with an orange band or the other way round. The colour is not a requirement.” The vest can be bought at petrol stations in Italy for around 10 Euros. It is as a rule not normally possible to check-in before the arrival time indicated on your booking details. Usually only the big hotels have a manned 24-hour reception. Therefore it is important that as far as possible you try to arrive within the arrival times stated. You should not expect to be accepted before the arrival time shown on your holiday voucher. If you arrive late, you should inform us as soon as possible. If you don’t realise that you are going to be late until you are on the way, you should call your holiday accommodation directly and inform them. If you do not arrive during the stated time, the hotel has the right to sell the room to another customer after 22 hours. Usually smaller hotels, resorts, apartments and villas do not have a manned reception and are not equipped to accept late arrivals. Therefore try to carefully calculate the time it will take to reach your destination, and consider that there are often long queues throughout Europe in the summer season. The standard of cleaning is different in Italy because it is defined differently. Italians usually wear shoes indoors so the floors are not the most important. On the other hand, the windows, window sills and furniture get more attention. There is not normally a vacuum cleaner in apartments. Instead you use a broom and cloth to clean the floors. If you arrive at your apartment and it is dirty, contact the reception or the owner immediately. You will always find pillows and blankets in all apartments, houses and hotels. Duvets are rarely seen in Italian homes except for mountainous areas in northern Italy. When it comes to beds, we often receive complaints about beds being too hard, too soft, too high etc, and it is probably not the same kind of bed that you are accustomed to at home. Since the bed is a very personal piece of furniture and it is hard to find something that satisfies everyone, we do not accept complaints about beds. With regards to sofa beds and extra beds, we also note that these are often of a lower standard than real beds, but that can vary from place to place. If you find serious deficiencies with your accommodation, or if the reality is very different to the description of the apartment you booked, you must contact us at soon as possible on +45 3315 1313 or by email on info@in-italia.com. Occasionally, customers are allocated to the wrong room, or the environment has changed since we inspected the property. In such cases, please do not wait until you get home to complain, contact us immediately and will endeavour to resolve the problem as quickly as possible. When you leave your holiday accommodation you should leave at the time stated on your holiday voucher. The water on the Italian coastline is generally clean and clear. Over the past 15 years, Italy has focused on the quality of its seawater with good results. The northern part of the Adriatic coast is generally more polluted than other places. Most beaches in Italy are paying beaches where it is mandatory to rent a deck chair and / umbrella. In many places, there is also a public beach but these are often small and crowded. Who would ever have thought that Italy would be among the first European countries to introduce a smoking ban in all restaurants, cafes and public spaces indoors? Apart from a few large eateries that have the ability to organize special sections for smokers, smoking is now banned in all the places that you are likely to spend time indoors in Italy from the bars of railway stations to airports, offices, etc. The bans will be strictly enforced, so if you wish to smoke you have to do it outside. Every year it comes as a great surprise for many of our clients that there are animals in Italy. Therefore we would like to emphasise that it is more the rule than the exception that people have dogs if they live in the countryside. Neither should you be surprised to find cats. In addition, if you are staying in a town centre, there will most probably be many cats. If you don’t close the doors and windows, the cheekiest of them may well enter in search of a snack! Likewise, insects are not an unknown phenomenon in Italy either. So it is best to be prepared and buy some insect repellent – especially mosquito repellent. 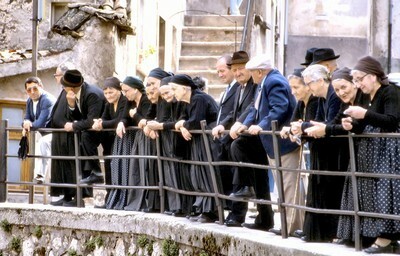 Very often Italians don’t speak English, German, French or other languages. Only in a few places where tourists have been visiting for decades will you find translations of signs, menus etc. to English or German. We therefore strongly recommend that your borrow or buy a phrasebook or little dictionary. In all Italian cities and many smaller ones there is normally a tourist information office by the train station. Here you are able to get a map of the town and information about what you can see there. You will normally be able to find someone who speaks English there. Even if you do speak some Italian, you may well still encounter linguistic confusion – here at the office we know all about that! – so ask one more time and treat it as an experience. We would stress that behaviour in Italian society is very different to that of other parts of Europe. It is in fact the subject of many thick books. We would merely say that in Italy, as everywhere else, you get furthest by being polite. If you are dissatisfied with something you should first try a calm approach. You shouldn’t think that just because Italians have a reputation for being emotional that you get furthest by shouting and banging the table from the start. You can always try that if the polite approach fails. Remember the words of Al Capone that a friendly word and a pistol get you further than just a friendly word, but don’t ’pull your gun’ until the friendliness has been used up. Note that the shops in Italy are normally open from 09.00 to 12.30 and again from 16.00 to 19.00 - also on Saturdays (although opening times can vary). At many summer resort towns by the coast the shops are also open on Sundays. There is also a rule about a half day closing. This varies from town to town and from shop to shop. Restaurants and shops are always closed one day a week but there is no rule about which. It is best to ask when you arrive at your holiday destination. At all restaurants have to pay a small additional mandatory called coperto. Coperto is an amount that you pay for the table setting of one's table. Coperto accrues and is usually given by the owner to the waiting staff. There are no set rules on tipping in Italy, but of course it's always good to give a small amount to the waiter if you feel they deserve it. Many Europeans consider out pets as part of the family and often have them sleeping indoors, whereas Italians normally keep them outside around the clock. In Italy is it a legal requirement that dog waste must be removed from public places and that all dogs over 30cm should be kept on a leash in public. Failure to comply to these laws can result in a fine. In some places it is mandatory that dogs are muzzled, such as in trains and ferries. If you have more than two pets in the car, it is required that they are restrained with a leash or in crate. If you intend to bring your pet to Italy always remember to bring your passports and have your pet vaccinated for the mandatory rabies vaccination at least 21 days before arrival. In addition, all animals must be tattooed or have an ID chip. Never leave your pet unattended in a vehicle in the summer because of the danger of heatstroke. Do not bring your pet into shops, restaurants and beaches. On some beaches, pets are allowed but must be kept on a leash. It is absolutely not permitted for animals to swim in pools, or to sit on furniture at rental properties. Every country has special holidays, this also applies to Italy. Maundy Thursday, Good Friday and Christmas day, for example are ordinary days, but in turn the 15th August (Ferragosto), 25th April (Italy's liberation), 1st May, 2nd June (Republic Day) are public holidays. There are also local holidays, which celebrate the city's patron saints. Finally, Sunday is a public holiday in Italy, which is why all the shops generally closed. Sunday opening is a largely unknown in Italy. If you travel to Italy by train, you must remember to stamp your tickets on the platform before you get on the train. It is expensive to travel with a train ticket that has not been stamped and there are ticket inspectors on almost all trains. Bus tickets are normally bought before you get on the bus. They are sold in bars and kiosks or places where you see the blue sign Tabacchi. Public transport is good north of Rome and the Amalfi coast but connections are more problematic south of Naples and in Sardinia and Sicily. It is a good idea to hire a care if you are going there. Taxis are expensive but you can hire a car for between 270 and 330 Euro per week with free mileage. Petrol costs are extra of course and you should fill the tank before you return the car unless you want to pay a fee of over 13 Euro. Petrol stations in Italy are closed one day a week. This day normally changes from week to week. However, you will be able to find self-service petrol stations. Make sure that you always have enough petrol in the car. 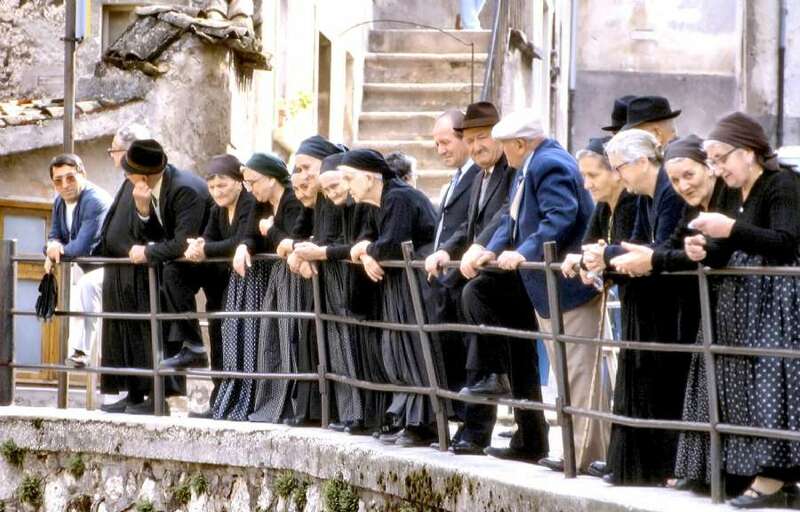 Despite their reputation, the mafia is a very limited phenomenon, and one that is not normally interested in tourists. However, you should take the same precautionary measures as you would in any big city. Don’t walk around with a bulging purse sticking out of your back pocket, don’t flash money around if you are in a poor area and don’t leave bags in the middle of the street. Pickpockets operate in many of the cities so you should take care. The emergency services number is 112 as it is in the rest of Europe, but the staff only usually speak Italian. Always remember to take your valuables with you when you leave your car. Children are welcome everywhere in Italy and the Italians love the little ones. One should not be alarmed if your little blond lad gets a pat on the head and a loving pinch on the cheek. Generally one can get the same baby products in Italy as at home - the range of baby bottles, pacifiers, baby food, etc. in various pharmacies, but also in the supermarket you will find the most necessary things like diapers and wipes. In supermarkets you will often find a large selection of baby food in glass jars - however, the range of organic products is not as large as we are used to, and much of it has added sugar. It is definitely not well-regarded to leave your baby sleeping in a pram outside a shop or restaurant in Italy as it is in some countries. Breastfeeding is allowed in public places, however, it should be more discreet than we are used to. In Italy, take the child with you everywhere and it is not a rare sight that a family go out to eat very late at night with the little ones. Note also that one should not expect to find high chair / children chair, either in the apartment or in restaurants. There are a few exceptions of course. Apartment quality is naturally related to the price, according to the standard, we award the apartments a score in the form of suns. The apartments are generally clean, but there is usually nothing in the pantry besides kitchen stuff: Salt, pepper, sugar, toilet paper etc. should be brought or purchased on arrival if you do not take it home. There is usually no detergent or dishwashing brush in the apartment but kitchen sponges. Bring (or buy on arrival) even dish towels and cloths if you want to be sure to have these available during your stay. The kitchen usually consists of two or four plates (mostly gas), a refrigerator and kitchen utensils and cutlery. Make sure the fridge is switched on when you arrive, as they are often switched off in between guests. Kitchens often have hobs but no ovens. kitchens are almost always very sparsely equipped in Italy: You should not expect that there is an oven, kettle, coffee machine or similar equipment. The apartments are usually equipped with a traditional Italian coffee machine, which works on a different principle. If you take your coffee with you, you should also remember coffee filters and coffee as the coffee is roasted differently in Italy. A good tip if you want to make a slightly more demanding dish is to take a good knife: This is almost never available in the kitchen. There will rarely be proper wine glasses in the apartment. In Italy, on the whole a little wine is not seen as an exquisite stimulant and therefore it is typically served in an everyday glass such as a water glass. There are usually no vacuum cleaners in residences. You use brushes and cloths to keep the floors clean. NB: We must point out that the current electricity capacity in Italian accommodation is often very limited compared to most of northern Europe. You should expect a maximum consumption of 3 kWh. You must therefore be careful when using many power-hungry appliances at the same time such as hairdryers, kettles and the like in combination with air conditioning, hot water boiler or microwave etc as it will overload and trip the power supply. If upon arrival at the property the required or correct number of cutlery, glass chairs, etc are not available, we advise that you ask the landlord or manager directly to remedy the situation. Despite any romantic ideas you may have, Italian apartments and houses are generally not cosy. There normally don't have wall lamps or side table lamps but just one light in the middle of the ceiling in each room. Of course, this is not true of the more luxurious places. It is also difficult to find candles as it is widely believed that they bring bad luck. Candles are not normally used at restaurants or in apartments. Italians generally have darker apartments because it is easier to keep these cool in summer and warm in winter. Italian houses and apartments are rarely as well-insulated as their equivalents in northern Europe, and air conditioning is a rare luxury. Italians just want their homes to be comfortable. Also, they don’t normally spend that much time at home as they are spend the majority of their lives on the street, in the bars and at restaurants. Italian legislation makes it very clear when it is permissible to heat your home. At some times of the year it is punishable by fine to heat either a private home or a rental property. The specific dates are decided locally as the winter is different in Sicily and South Tyrol. In especially cold springs/autumns dispensation may be given. Italians generally have lower temperatures in their homes in the colder times of year than you might expect as a northern European and they often wear more clothes inside. If you are going to visit Italy during the cold period, and when heating is not permitted, there is nothing you can do but put some more clothes on, ask for an extra blanket and drink some more wine! Find out before you leave home whether you need to take bedclothes, towels and tea towels. Note that bedclothes and towels can be rented at some places but should be ordered at least a week before you arrive. If you are staying for more than a week, you are generally given a change of bedclothes and towels on the Saturday but you will have to collect these from the reception and remake the bed yourself. Recycling is a common practice in most parts of Italy now. Be aware that most towns and areas have different bins for the disposal of different materials. If you choose to stay at an agriturismo where the owners still live and have their activity on the farm, you should consider these essential factors. The owners workers are likely to have a dog, or dogs who can be noisy at times. There may be livestock, cattle etc with associated aromas and flies etc, although they are normally kept away from the accommodation area. The roads leading to farms are usually not paved and very bumpy. You are required to consider this and drive slowly on them, and be aware that arriving in a Lotus sports car might present a problem. The evenings in the countryside are very dark and this is another factor to consider if arriving or driving at night. Arriving at an agriturismo by public transport is very unlikely. You are most likely to need your own car or a hire vehicle if you choose this type of accommodation in order to do your shopping etc. you are likely to have to drive. Many of the people who rent part of their farm / agriturismo to guests have undertaken years of hard work to bring it up to a standard worthy of being able to rent out. One should therefore bear in mind that you are staying in somebody's private property and show as much respect as possible. Most hotels outside major cities often have a parking space for guests to use free of. However, the hotels inside the cities either a car park which can be used for payment or none at all. If this is the case, they have usually an agreement with the nearest parking garage / private garage that hotel guests can park for a fee. One can therefore expect to pay for parking in connection with a hotel stay. When staying at a hotel it is expected that you take your meals outside of the hotel rooms. However it is often okay to bring snack, sandwiches etc in to the rooms, but not to cook in the rooms. Basically, all rooms are non-smoking unless otherwise stated. Allergy sufferers should be aware that we cannot guarantee that the room has never been smoked in. The same is true for pets. Although pets are not allowed in certain hotels, we cannot guarantee that there have never been animals in the room. At most hotels, towels are changed daily. However if there is no need please consider the environment and re-use them for a 2nd day. You are normally required to leave your towel on the floor to indicate that it needs changing, but if not, hang it back up to use another day. You should not expect breakfast like you get at home when you are abroad in Italy. Many places only serve coffee / tea, biscuits and toast which is a standard breakfast for Italians. In some places breakfast is adapted to the particular nationality of its clients with a wider selection. Even if you have hired an independent villa and thus "have it all to yourself", one should be aware that there may be neighbours and sometimes there could be noise late into the night and during siesta time which could bother you. In other words, think of your neighbour! You should also expect that the owner of the villa visits several times a week to maintain the property (water the flowers, clean the pool, etc.). There are several options for getting to and from airports. Whether you take a shuttle bus, train, or taxi, always leave plenty of time for the trip, as there can often be much traffic on major roads and in the cities. Unless you have pre-booked a private transfer and thus know the price of the ride, it's always a good idea to inquire about the price, before heading on the road. Note also that several municipalities have fixed prices for taxi services between the airport and downtown. Look for ads in English at the airport. In most large cities in Italy there is money to be saved by buying discount card (10-trip ticket or weekly pass) to public transport (bus, metro and trams) and attractions. Enquire about the options in the local tourist office. Be aware that prices in bars and restaurants at major attractions and famous places are often absurdly high. It also pays to look for hidden bars and restaurants in less visited streets, where prices are usually more reasonable. It's a great idea to give the local tourist office a visit. Here they will be updated with what is happening in the city and the area and can give you good tips for excursions and other practical information. Be prepared for heavy traffic in cities and do not rely blindly on the green light at traffic lights. Better to look twice as several Italian drivers do not always respect the international traffic rules. Tickets are bought at the local lift pass office in the town. It is usually at the main lift in the centre. Some of the accommodation that we have for offer near ski slopes can also sell you a lift pass. There are several different options for rental of skis and boots. Generally one can choose from three types of skis and boots: beginner, intermediate and expert. It is usually also possible to rent helmets, toboggans etc. It's a good idea to check whether your insurance covers theft of equipment as it unfortunately sometimes happens that one's skis disappear. We recommend that you ski as a "pair" with someone else (i.e. put two sets of skis together), when left unattended on services such as restaurants, etc. It is a good idea to plan your journey to a skiing destination and always check for the latest weather reports. Sometimes roads can be closed due to heavy snowfall. Always take journey times into consideration if this is the case as you may need to take a detour to the planned route or be held up in traffic queues due to closed roads. Always remember to switch to winter tyres and carry snow chains. Without these it can sometimes be downright impossible to get up the mountain. Unfortunately, the possibility of a transfer from various airports to the various ski destinations is not particularly great. They generally run on fixed days and with a large time interval. You must therefore be very lucky if a transfer bus fits with your flight details. Check this before your departure, so you do not end up having to waste several hours waiting. Things can be especially chaotic on arrival and departure days in terms of traffic and general confusion. People on their last day are making the most of this and therefore there can often be double the amount of people on the slopes on changeover days. If you have chosen to spend your holiday at an Italian holiday centre (typically by the coast) with a restaurant, swimming pool and other facilities, you must expect to hear loud music until around midnight and entertainment for both children and adults is in Italian, and they expect entertainment from the minute they wake up to the minute they go to bed! On the other hand, siesta time (from 13.00 to 16.00) is taken seriously and peace and quiet is expected and enforced. Swimming pools are therefore shut during this time. If you swim in a swimming pool, you should expect to have to wear a swimming cap. Pools have fixed opening hours in most places and you should not expect to be able to use the swimming pool after 19.00 - 20.00. During the middle of the day it may be closed for siesta time, as the noise from the pool is thought to interfere with other guests’ naps. Additionally, open air pools are only open when the weather is good. A cold spring means that the pool opens a few weeks later than normal. All swimming pools are however normally open in mid and high season, i.e. from the 15th June to the 15th September. Some places by the coast have seawater swimming pools. We must point out that the presence of Wi-fi at a location does not mean that it is available everywhere. In many cases it will only work near the reception desk or other common rooms. Often the walls of a building are too thick or the distance from the central Wi-Fi hub is too far to receive the signal also in the rooms. -French balcony: A French balcony is an inward door towards the outside, which is covered with railings. You cannot go out on a French balcony. - Balcony: A balcony is either protruding from the building as a part of a gallery or incorporated. A balcony will typically be for two people and is often, but not always, furnished. If it is furnished, you will generally find two chairs and sometimes a coffee table, if space permits. - Terrace: A terrace is larger than a balcony. It is an outdoor area that is often furnished with a garden table and are often located in close proximity to a building. Despite most terraces being on the ground floor, there are many examples of terraces on higher floors in both newer and older properties, depending on the architectural design and terrain. A terrace can also be either a pergola (terrace covered with shade climbers), loggia (open, covered area, often domed), porch (open or closed roofed extension) or pavilion (tent-like shelter construction). If terraces are open and not defined, they are often referred to as patio / outdoor area. When talking about roof terraces, there is often a staircase, interior or exterior, leading up to it.